Lily's first birthday party was a ton of fun. First I chose a color scheme to coordinate everything. I think choosing colors for any party only takes a little effort but makes a huge difference. We sent out invitations to 16 of Lily's closest baby friends. It sounds like a lot, but we actually didn't invite anyone in our play group because I feel like if you invite 1 you have to invite all 20. 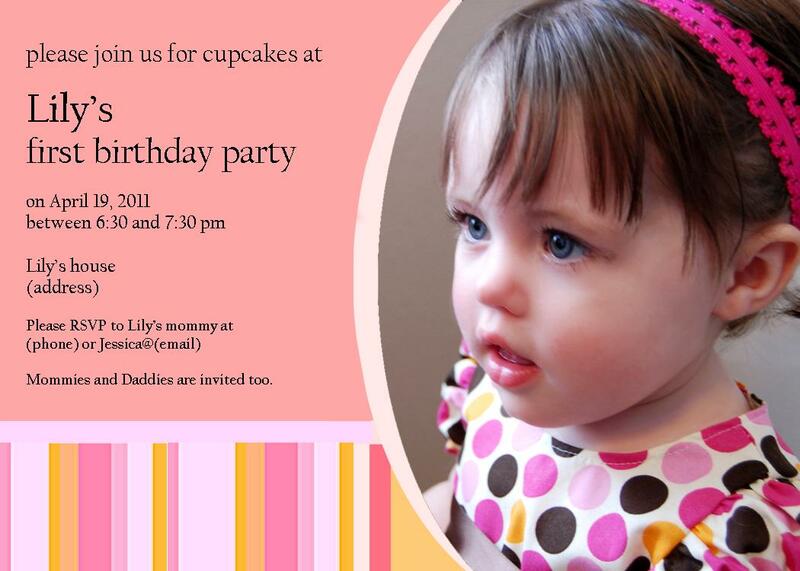 I used Microsoft Publisher to make the invitations, and then printed them as a 5x7 photo at Costco. I got cat and dog finger puppets here to use as cupcake toppers. It made decorating really easy, and the kids loved that they got a toy out of it too. They looked great displayed on the cupcake tree I made here. I used a couple of the finger puppets to decorate her cake as well. We set the favors I made here out for each kid to take home. I also made a birthday party dress for her as well in the colors I had chosen. I used the pattern I made here. We didn't plan any formal games, but moved our "Dr. Pepper table" (we don't drink coffee) to create an open space for the babies to play in. I brought out a lot of Lily's toys and they all had a fun time playing. I didn't even try to get a picture with all of the kids, but we had a lot of fun! I liked that I kept it short because then it didn't get awkward since there were no set plans. I loved having so many friends to share her birthday with, but a smaller party would have allowed more one-on-one time with our guests. So cute! My baby girl turns 1 in September and already the ideas are spinning inside my head. This looks like it was such a sweet day! Thanks for sharing with So Sweet Sundays!